Take your Ashtanga Yoga practice to the next level. Renew your direction, address vital alignment and find personal modifications that suit your body. Steer the course for your practice to take on a new focus. 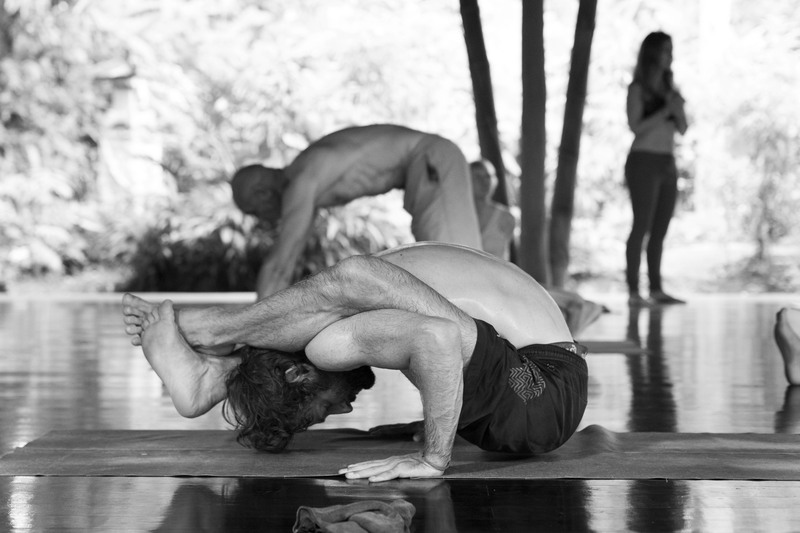 Our Advanced Ashtanga Guidance program offers world-leading Mysore supervision for experienced Ashtangis. Make this a regular way to engage, enliven and add shape and connection to our joint research. You’ll join the Daily Ashtanga Yoga Mysore with Prem and Radha that runs Sunday to Friday at the shala, excluding full and new moon days. The Advanced Mysore Guidance program includes an initial consultation and a 60-minute one-to-one to discuss your practice and give you new tools beyond your time with us. There is an additional fee that covers the initial consultation and the one-to-one. How do I sign up for an Advanced Ashtangi Guidance program? To get the guidance, fill in the form with your dates, details, teachers and queries and one of our warm and friendly team will give you all you need to know.